NBC News is reporting that multiple senior law enforcement sources have confirmed that more than 20 people have died and 50 others people were injured in the explosions that occurred after an Ariana Grande performance in Manchester, UK. 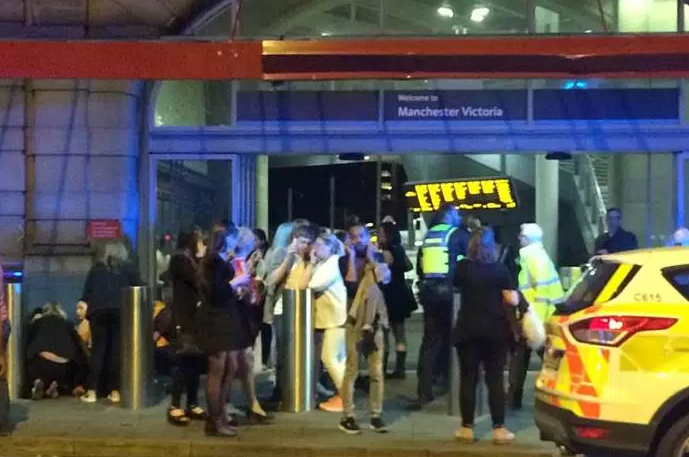 The show had reportedly wrapped at the Manchester Arena up and Ariana had left the stage when those in the crowd heard either two loud explosions or two loud bangs. The crowd was sent into a panic, at which point fans began to flee from the venue. Police have confirmed there are 'a number of confirmed fatalities' but have not offered additional details, as it is early on in their investigation. A witness on the scene described the event. Jonathan Yates told MailOnline: "The concert had finished and the lights came on almost instantly. There was a bang, a weird bang. There were lots of balloons but I thought to myself that can’t be a balloon, that’s not normal. We were sat on the floor level and it came from the higher seats, people were running and screaming. Everyone stopped and I turned to my friend and said ‘we need to run’. Everyone was running and screaming and then when we got out it felt a bit more OK. I heard five or six bangs that sounded like gunshots. When we got outside people were outside, crying and on their phones." Multiple people have reported that the Holiday Inn Manchester is a central location for parents who cannot locate their children. Many children were taken to that location and away from the scene.